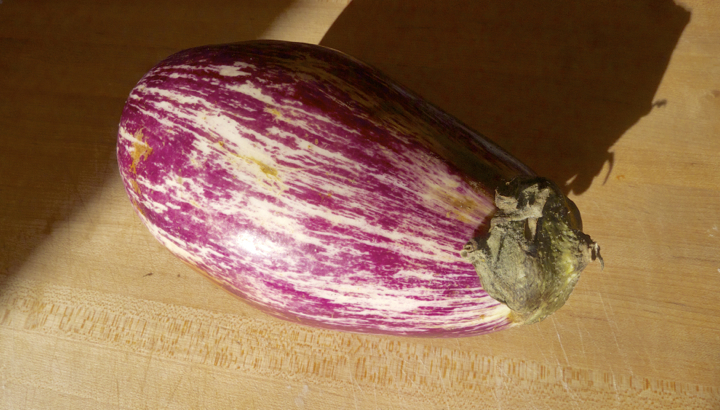 Eggplant is one of my favorite things to eat. 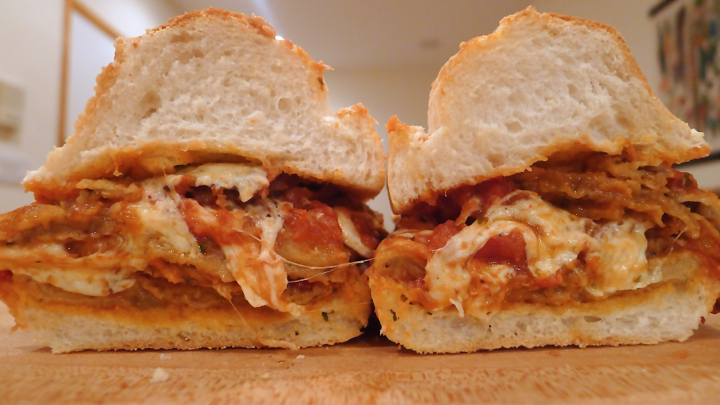 Cover it in tomato sauce and cheese and I’m even happier. 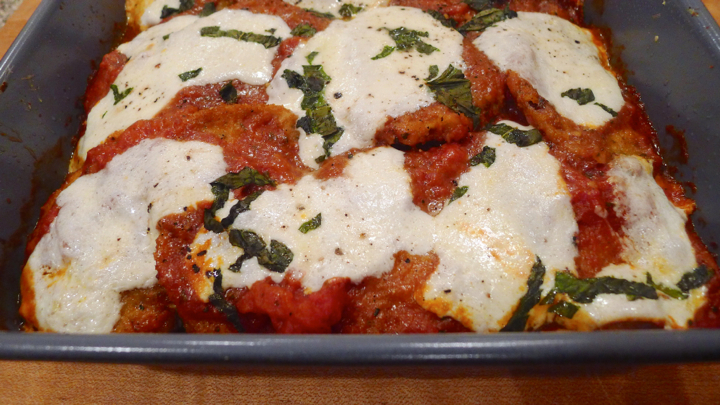 So it was surprising to me that I had never made eggplant Parmesan before! 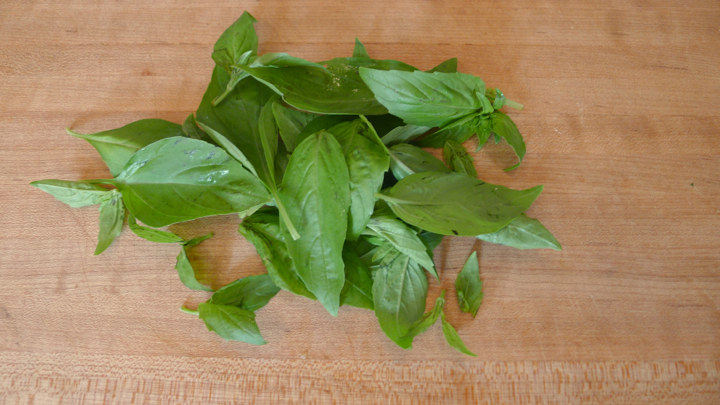 And now that I have, I am fighting the urge to cook it every night for dinner. It was SO GOOD, and not as hard to make as I was anticipating. 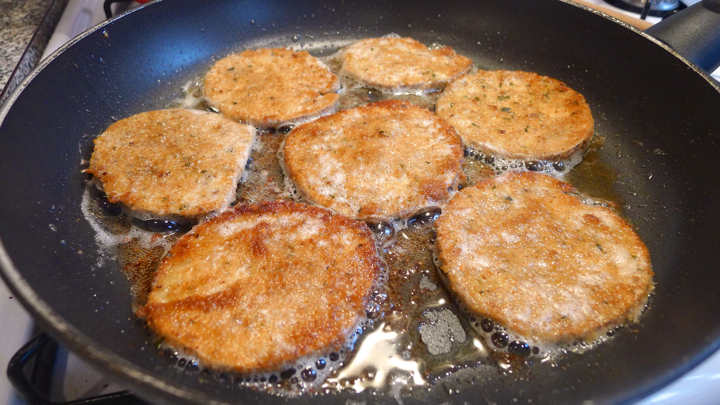 The coating and frying of the eggplant takes a little time, but it’s worth it. You can toss the leftovers over pasta or just eat it alone in a bowl. 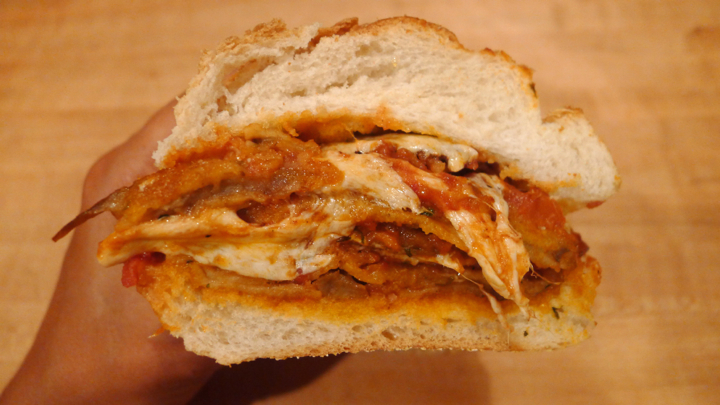 I was going to only eat half of the sandwich for dinner because it was so large, but I ate the entire thing. NO REGRETS! 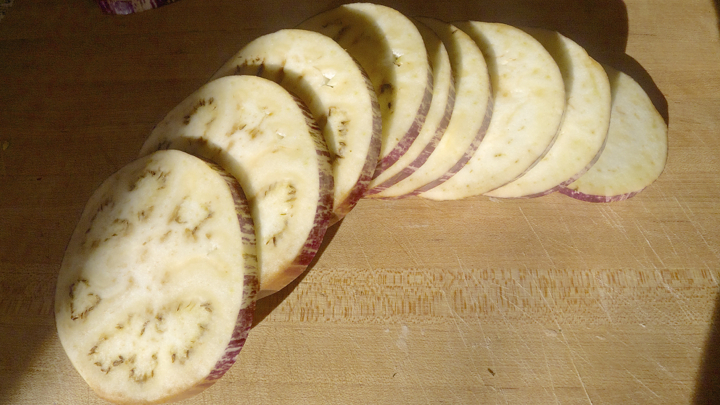 Place the sliced eggplant in one layer on a baking sheet and sprinkle both sides with some salt. This will remove some of the bitterness. After about 10 minutes, rinse well with water and pat dry. While the eggplant is doing its thing, make the sauce. Simply place the crushed tomatoes in a saucepan with the garlic powder, onion powder, red pepper flakes, salt and pepper. Using a wooden spoon crush the tomatoes even more and cook for about 5 minutes. Set aside. **I like some tomato pieces in my sauce, but you can use pureed tomatoes if you prefer! 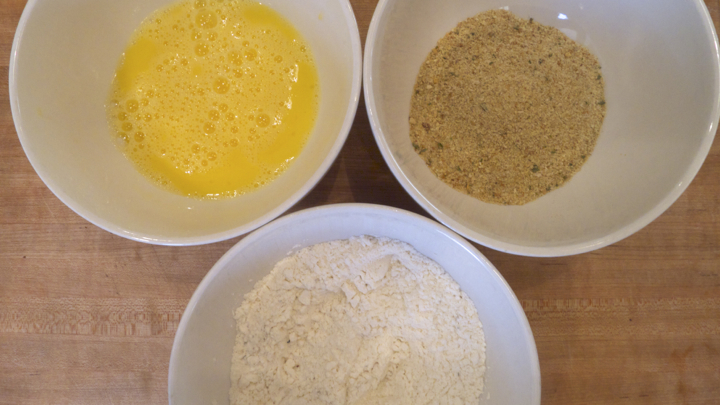 Have your eggs, flour, and breadcrumbs in three separate bowls. Heat 1/8 of an inch of oil in a frying pan until simmering. 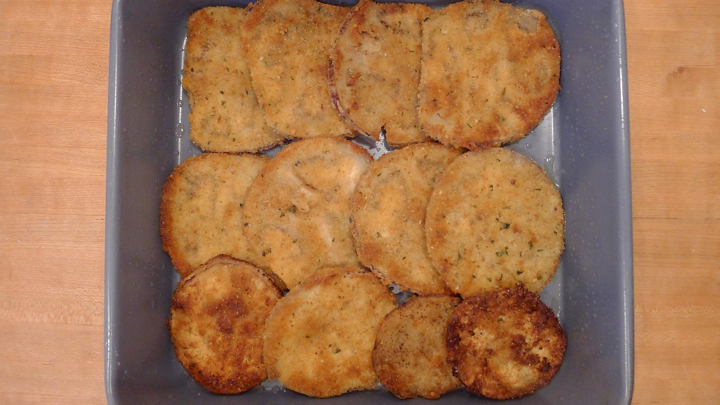 Have a wire rack ready with some paper towels underneath, or a baking sheet – just something to catch or absorb any drippings from the fried eggplant. First dip the eggplant in the flour, then the egg, then the breadcrumbs, and fry about 5 pieces in the pan at a time. Cook for about 3 minutes on each side, or until golden brown. Make sure the heat isn’t too high or they’ll burn! Place each piece on the wire rack when finished, then repeat with the remaining eggplant. Preheat the oven to 350 degrees. Rub a little olive oil inside a 10-inch baking pan to prevent sticking. 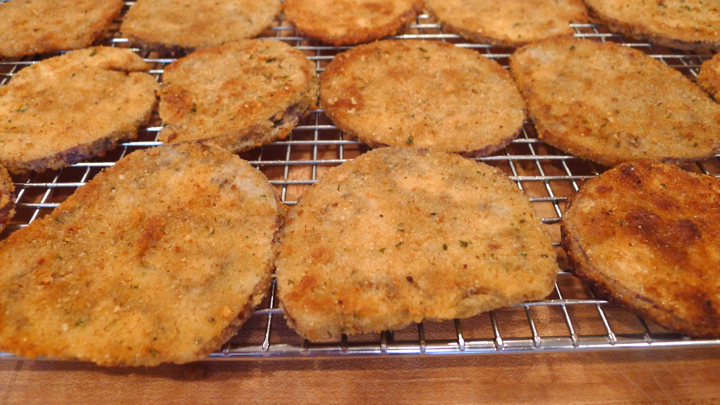 Cover the bottom with a single layer of eggplant, overlapping them a bit. 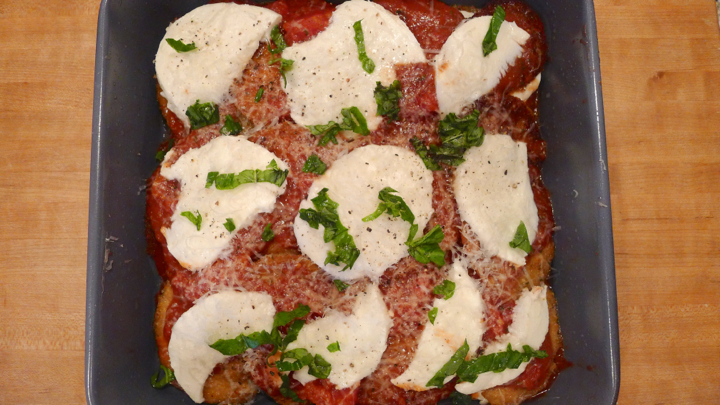 Spread about 1/2 cup of the sauce over the eggplant, followed by some of the fresh basil, then top with mozzarella slices and a few tablespoons of the grated Parmesan cheese. Repeat until all eggplant is used. 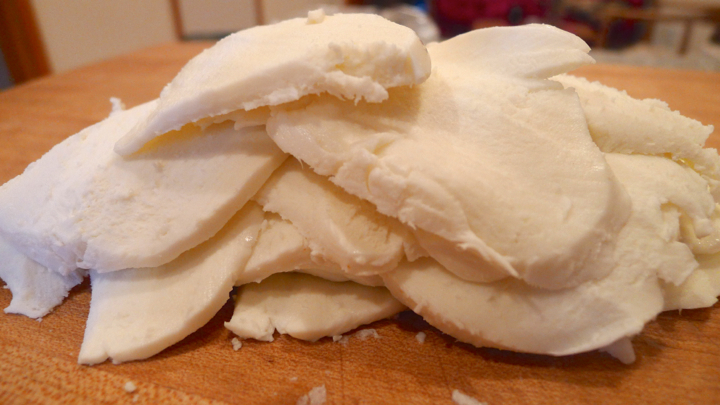 Cover with foil and place in oven for 40 minutes, then remove foil and cook for another 10 minutes or until the cheese is melted and a little golden. Remove from oven and let cool for a few minutes before assembling the sandwich. Slice the rolls and place them in the oven to crisp them a bit, about 3 minutes. 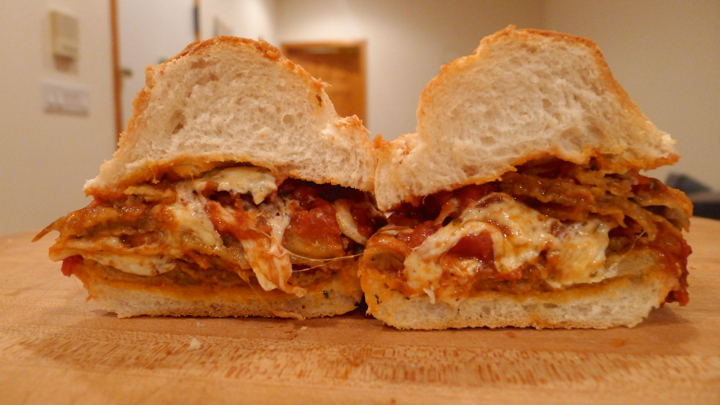 Stuff the rolls with the eggplant and EAT!